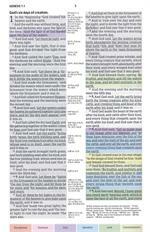 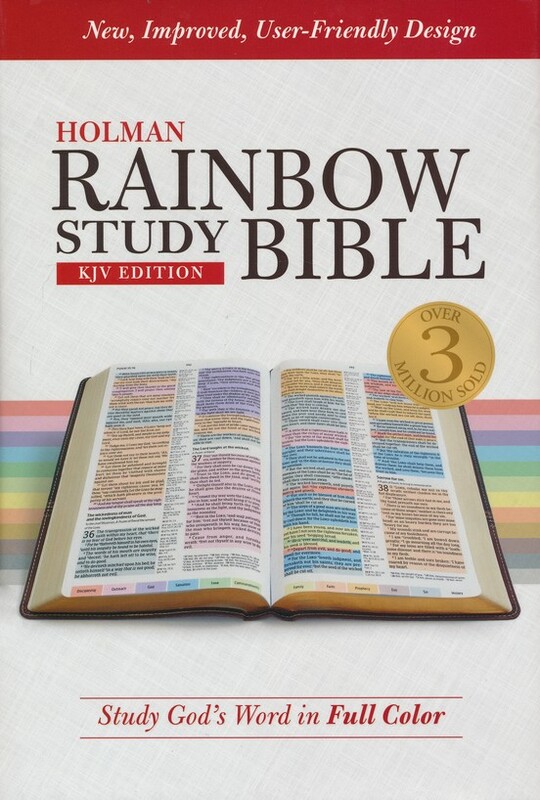 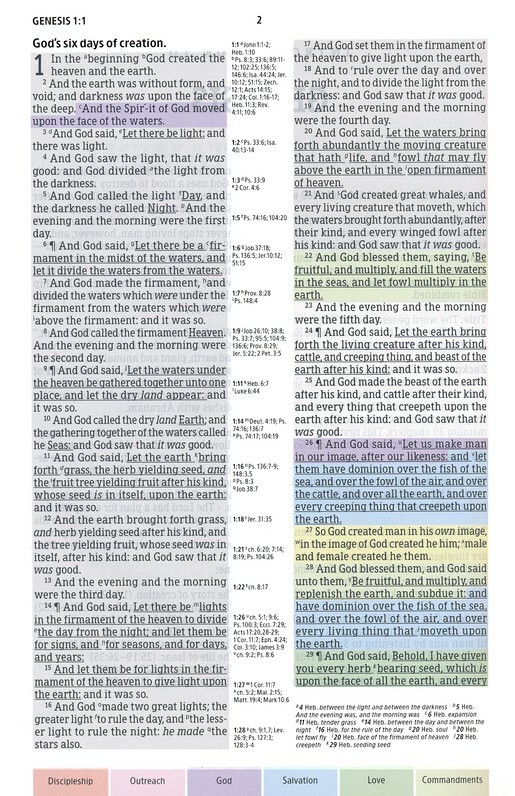 The Holman Rainbow Study Bible: KJV Edition has a unique color-coding system that allows readers to identify quickly and easily twelve major themes of Scripture throughout the text: God, discipleship, love, faith, sin, evil, salvation, family, outreach, commandments, history, and prophecy. 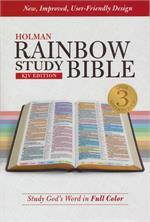 The system also underlines all words directly spoken b God, Jesus, and the Holy Spirit. 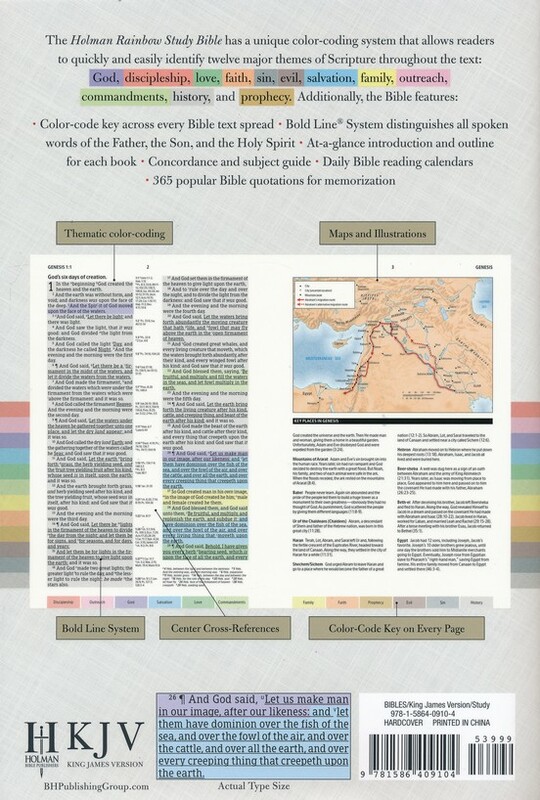 Other features of this Bible include 12 pages of color maps with index, a Bible reading calendar, concordance, subject guide, Table of Weights and Measures, "Know What God Says," "100 Popular Passages," and "365 Popular Bible Quotations for Memorization and Meditation. 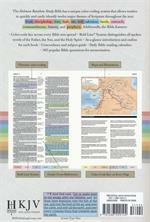 ", 1632 Pages.